I probably should have named the post a little bit more vague but I’m just too excited. I have hinted about it on social media but it’s finally time to let the cat out of the bag! 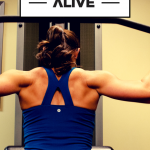 I have teamed up with some amazing partners to create a day dedicated to all of you who go the extra mile (pun intended) to live a healthy lifestyle. Head over to RunStrollerRun and find a stroller friendly race in your area! Sign up and enjoy with your little running buddies. Set out on your own, push, pull, walk or run with your little buddies. Organize a local run and get together with your local community of runners. Encourage everyone to bring a pack of diapers to donate to your charity of choice. 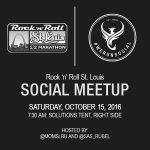 I’ll be hosting a meet up in St. Louis. I hope to see tons of moms there! I’ll have both a single and a double BOB for people to test drive! Sign up to participate in the next Moms-in-Training program in your area. Snap some pictures and share your celebration on social media using the hashtag: #StrollerRun14. Then head back here to improve your chances to win some of these amazing prizes!! Want even more chances to win? Save the date for November 4th at 8 pm EST. Come join me and others in a #StrollerRun14 Twitter Party hosted by Pregnancy Awareness where we will be giving away more strollers and other must-have fitness related prizes!! Seriously! You are gonna be busy in early November! More details to come on the chat soon! Leading up to National Stroller Running Day, I’ll be featuring some great tips, tricks and workouts from me and some of my other amazing blogger moms and dads perfect for you and your little running buddies! Check out all the ways you can win below! So many chances! Get involved today! HUGE THANK YOU TO OUR SPONSORS AND PARTNERS: BOB Strollers, Fit4Mom, New Balance and Linkoutoure! 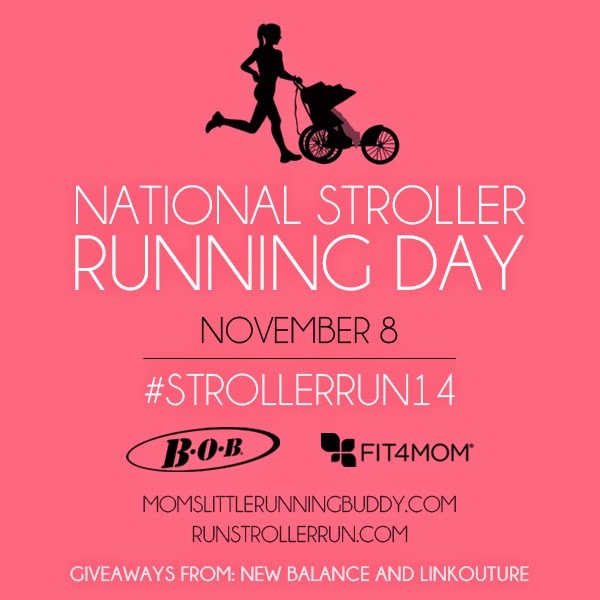 Check out the amazing twitter chat details and link up your National Stroller Running Day post here! How cool! I didn’t see any races listed on Run Stroller Run that are near me, but I do hope to race with my little man again soon. Hi Tiff. Where do you live? We will ensure we get races up in your area. We are adding races as fast as our hands can type. Thank you for your patience and we will find you a race/run. I didn’t see any races for Arizona but hoping to do one in the upcoming months with my little ones :). YaY! Sounds like fun, I love my bob!!! This is so cool. I love my Bob and there are so many times when I wouldn’t be able to run without it. Posted about it here: http://www.sideofsneakers.com/2014/10/14/get-your-stroller-run-on/ Love this Katie! There is a run stroller run race in Redmond! I live a little bit away, but I know for a fact that Magnuson Series races in Seattle are stroller friendly and they offer a race once a month! Hi Carleeh. We will be finding more races and throughout the next couple days, you should see more pop-up in your area. Thank you! I know you’ve worked so hard on this project– so excited for you and for everyone pushing those strollers! Sharing this with my daughter in law who just got herself a new running stoller! I want to do the Halloween Hustle 5k in McKinney, TX. We’ve already done one Halloween Hustle 5k as a family and won first place in the costume contest! My husband and I were Ghostbusters and our 2 year old was the Stay Puft Marshmallow Man. I love the idea of these virtual runs! This is so exciting Katie! I absolutely love it. I’ve just started a Mommy and Me Fitness Class in my little town and I’m excited to promote this and do something with my local mom friends! I ran a small, stroller-friendly race in August in Barnegat NJ that was sponsored by the local fire department! Ashley, Thank you for sharing. I will see if they are going to have a 2015 race, so I can add it to the calendar. The ReeseStrong 5K in my neighborhood is a great stroller race! Thank you @bemomstrong. We will add it to our calendar. Have an awesome day. I didn’t see any races in my area, but I am racing on Tuesday. It’s not stroller friendly for runners, but it is for walkers at the rear of the pack. Hi Heather. Can you tell me State and basic location and I will be sure to find some races in your area? I have started getting back into shape running with my two yo in our Phil & Teds stroller. I have been saving up to buy a BOB Pro but I still have a couple hundred to go! 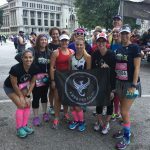 The local MRTT is doing a run I might join in! Something near Auburn, CA would be nice! I would look for some races in Auburn, CA and post them here when I find them Nicole. Thank you for sharing. I couldn’t find a race in VA, so my best bet is a virtual race! Plus, I am adding several meet-ups today in VA. Please let me know, if I can provide anymore assistance. If I wasn’t already signed up for a race the same day I’d do the 5th Annual Witch Way To The 5K Road Race. The race I’m already signed up for is not a stroller friendly course which is inconvenient because it means we have to get a sitter as my husband is running the half and I’m running the 5k. I used to love to run the Alpha Delta Phi Ronald McDonald House 5k in Chapel Hill, NC. My most recent stroller race was the Rock & Stroller 5k in Alexandria, VA. I love how so many races in the DC/NOVA area do accomodate strollers. I would like to do the Clarendon Day 10k next year! I would like to do the the Halloween Hustle 2014 at the Southern Michigan Bank & Trust. I dont have a jogging stroller though maybe i can borrow one. Maybe you will win one. I love this so much!!! I don’t have a baby, or a stroller, but I hope I will need both in the not so distant future! I hope to be a Fit Mama just like you! This is such a wonderful idea. I couldn’t find one in near LA, CA. I will keep my eye out for them now. But I will be a part of the virtual run on the 24th. I am definitely plan on getting a jogging stroller, or if I get lucky and win one to get back into shape and start running again. Glad to know my days of 10ks and 1/2 marathons are not over. I am planning to run in a local 5k (Running on Insulin) located in Fruitland, Marland pushing my double! It will be my first stroller race! Very excited!!!! There are NO stroller friendly races listed for Savannah so looks like I have to find one! To clarify, there is an event here in Missouri at Tower Grove Park that I’ll be looking into. I don’t see any events in Canada 🙁 So my recommendation would be to connect with some more Canadians, bloggers, race directors etc. #NovaScotia would be nice! Most races here say that strollers are either NOT allowed, or allowed only in the 5k at the back of the pack! I blogged about National Running Stroller Day on my blog. There aren’t many stroller runs in my area (northern MN), but there is a great 5k/10k coming up in June that has a separate awards category for stroller runners! Just love this concept Katie! Well done. Now if only I could get BOB to make a triple! Sadly they said it is not cost effective:( Bummer! We have the Race to Save Lives in Mishawaka in a few days!!! Our whole family is excited! I’d love to go to the one in Oklahoma – KATs Making Tracks 5k! Nov. 8th in Cupertino, California! I’d love to go to the Singleton Moms Superhero Bolt in Arizona with my sisteR! It looks like there is a Grass Lawn Park Fall 5K Series next Wednesday. The park isn’t too far from me and it only costs $10 to participate. I don’t have much of an excuse not to participate! There is not much in my area on Run Stroller Run, but what a great resource for those that are looking! forest park in st louis – awesome!! Doing the stroller run with FIT4MOM Ashburn in Ashburn, VA! None in Idaho, but I would totally visit my family and do the turkey trot at the Smithfield rec center. I’m not sure if it matters, but I changed my Twitter handle this week from @lampeyb_jones to @HeidiWrites. Same account, just changed the name. I didn’t think about how that would affect my entries, if at all! Wow! Stroller jogging with my little darlings and tons of other moms and their kids- this must have been fun and exciting! I wish I have joined but sadly, it had been almost a year. Now I’m too excited for this year’s event! Looking forward to it! 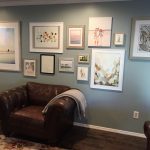 Sandra recently posted…Bonjour tout le monde ! It’s a great day for those who are mostly related to strollers. That could be users or sellers also. We actually provide special offers in all of our strollers. This helps us to make a good bond with our customers.